Espars' latest and most advanced Hydronic 5 heater is now available. This is a boxed unit that comes configured as a right hand outlet but if needed can be easliy changed to a left hand outlet. Kit includes the latest control called the "Easy Start Timer" gives you all the feature of the old 7 day timer plus more. 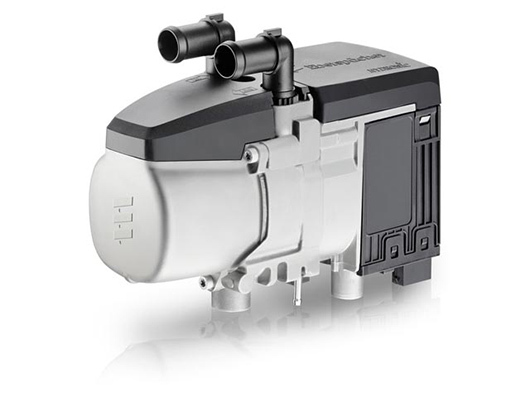 Is also able to control 2 coolant heaters or one coolant heater and one air heater like the Airtronic D2, D4 or D5. This unit is more robust and reliable than the older D5SC its replacing. workshop staff can analyze the operating condition of the pre-heater easily and quickly. smallest possible space and to be attached rapidly and permanently.